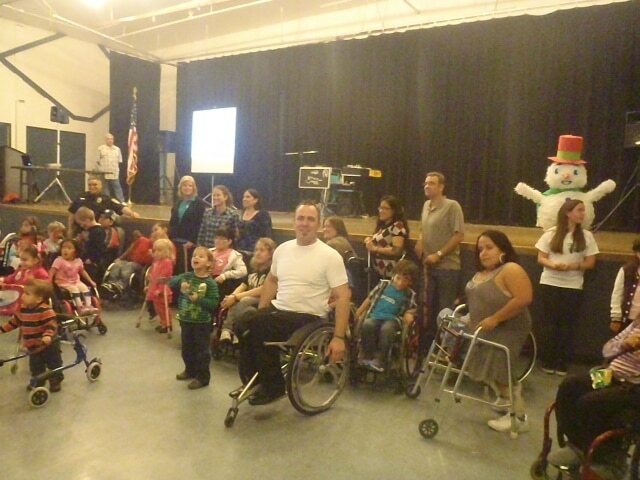 Winter Bifida is a wonderful event put on each winter by the Spina Bifida Association of San Diego (SBSD). Rob Roddy, 180 Medical employee, had the great pleasure to speak at this year’s Winter Bifida event this past Sunday, December 11th. The event was held at Balboa Park in San Diego, California. 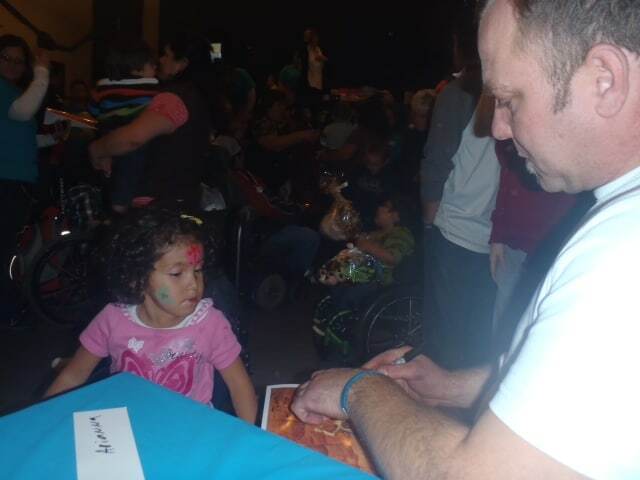 There were about 200 people that attended, including those with Spina Bifida and their families and caregivers. The event featured a lot of fun activities for kids, including face painting, arts and crafts, and even a few piñatas to take a swing at. You could tell from the smiles on the kids’ faces that it was a very special event in their lives. Dr. Chiang, who helped start Winter Bifida three years ago is a Urologist at Rady’s Children’s Hospital and an Assistant Professor of Surgery at UCSD. Rob had the privilege of dining with Dr. Chiang and several other families that are on the board for the Spina Bifida Association of San Diego the Friday night before Winter Bifida. At the dinner, he got to hear some wonderful stories about the positive impact this organization is having on the Spina Bifida community in San Diego. Rob got to share some stories, both moving and funny, about when he was first injured and how he learned to overcome new obstacles. Some of his challenges included getting back in rock climbing and rappelling after his spinal cord injury, as well as going back to school to finish his degree. He also got to share how he first met Todd Brown and the positive way he has impacted Rob’s life and the thousands of others with whom he’s come in contact. We are excited to be involved with Rady’s Children’s Hospital and the Spina Bifida Association of San Diego and all of the great things they do. 180 Medical is a proud sponsor of the 2013 Spina Bifida Association Education Days. 180 Medical helped support the Sprint for Spina Bifida benefiting Spina Bifida Wisconsin. 180 Medical partnered with the Spina Bifida Association of Colorado to support the Walk-N-Roll event to raise awareness and money for spina bifida.